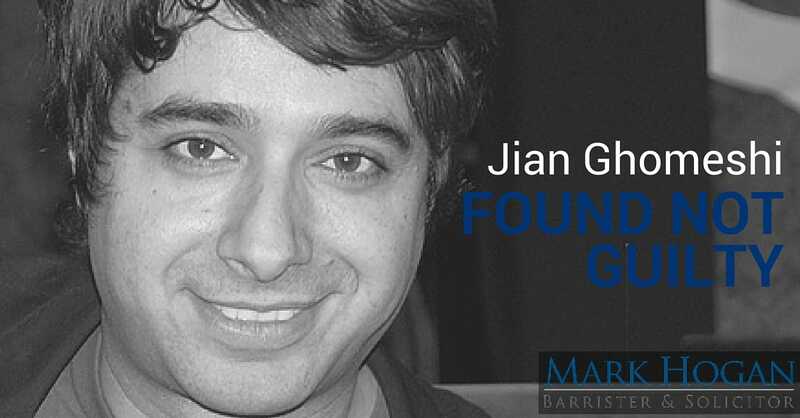 The long awaited decision in the Jian Ghomeshi trial was handed down on Thursday March 24, 2016. As expected by many in the legal community: Jian Ghomeshi Found Not Guilty. Mr. Ghomeshi had been charged with three counts of sexual assault and one count of overcoming resistance by choking. Since the charges were laid in November 2014, the Ghomeshi case has consumed much of the Toronto media coverage. Over the past months, a number of pundits, bloggers and other commentators have proffered their opinions on how and why our justice system ought to be better equipped to deal with sexual assault claims. The recent decision will undoubtedly evoke further commentary regarding both the facts of this case as well as how we, as a society, deal with sexual assault allegations in general. To be clear, there is nothing particularly unique or novel about the Ghomeshi trial. The issues, procedures and tactics involved were, at least from a criminal law perspective, run-of-the-mill. Nevertheless, the high profile nature of Mr. Ghomeshi, the widespread coverage of the allegations in the media and a few surprising twists at trial have reignited a firestorm of public opinion on whether changes ought to be made to how our justice system handles sexual assault charges. As is often the case in sexual assault trials, the Ghomeshi trial focused primarily on whether: (1) the events, as described by the complainants, actually occurred, and, if so, (2) the complainants consented to such actions. Given the private nature of sexual assaults and the lack of corroborating evidence, the analysis of each of these issues often hangs on the credibility of the complainant. Many have posited that Mr. Ghomeshi’s acquittal reveals the inadequacy of our justice system to deal with sexual assault allegations and will negatively influence future complainants against coming forward. There appears to be a push from some quarters to increase the conviction rate for those accused of committing sexual assaults. However, in rendering his decision, The Honourable William B. Horkins sharply criticized the complainants for their “deceptive and manipulative” actions and made it abundantly clear that he had no choice but to acquit Mr. Ghomeshi given the numerous inaccuracies and inconsistencies in their testimony. The requirement that the allegations be proved “beyond a reasonable doubt” is too high a standard in cases that essentially boil down to the credibility of the witnesses. The requirement that complainants be subjected to rigorous cross-examination to test the credibility and reliability of their claims is enough to ward off many would-be accusers. Complainants are often afraid to come forward because they may have taken actions (or neglected to take actions) in connection with, or after, an alleged sexual assault that are embarrassing, are incongruous with the allegations or tend to discredit the complainant’s testimony about the assault itself. The requirement that allegations of a criminal nature, particularly where an accused’s liberty is at stake, be proved by the state beyond a reasonable doubt has long been established as the one of the hallmarks of our justice system. This requirement was borne out of centuries of tyranny, oppression and false convictions and is meant to ensure that no one is unjustly punished for a crime he did not commit. It is founded on the principle that it is far better to acquit one who may be guilty (where there is reasonable doubt) than to convict one who may be innocent. No right-minded person would argue against the gravity and severity of the crime of sexual assault and its impact on a victim. For this reason, the crime of sexual assault carries with it a stigma and severe penalty. And those who commit such crimes ought to be sentenced. However, it is precisely because of this stigma and the severity of the penalty that we, as a society, need to ensure that no person is wrongfully convicted of committing a sexual assault. For this reason, we err on the side of caution. By requiring allegations to be proved in court beyond a reasonable doubt, we know that some perpetrators, who are in fact guilty, will escape liability. And this is unjust. But to allow our justice system to cast the net so wide that some innocent people are convicted simply to ensure that we catch all of the guilty ones is, at a minimum, equally unjust. Just ask Donald Marshall, David Milgaard, Steven Truscott and the many others who have been wrongfully convicted under our justice system – and in each of their cases the trier of fact determined that there was no reasonable doubt. Lowering the standard of proof in order to increase conviction rates, particularly in the context of sexual assaults where an accused’s defence is often limited to his credibility and version of events, will undoubtedly result in an increase in wrongful convictions. The right of an accused to cross-examine a witness is another longstanding guarantee of our justice system that is founded on the principle that no witness ought to be taken at his or her word. Rather witnesses ought to be tested to ensure they are credible and that their testimony is reliable (i.e., “hangs together”). Any person familiar with the legal system knows that claims made by one person about another are rarely completely one-sided. Complicating factors, such as ulterior motives, often cloud the truth. Cross-examination, while unpleasant for anyone who has been subjected to it, is widely regarded in the legal community as the most effective way of testing evidence. After hearing both sides, the trier of fact is then in the best position to assess the evidence. The fear, of course, is that an aggressive criminal defence lawyer could use cross-examination as a tool to intimidate a witness by revealing embarrassing historical facts, asking personal, irrelevant questions or generally “raking the witness over the coals” in an effort to shift the blame onto them. Recognizing this danger, the law attempts to balance the right of the accused to a fair trial with the assurance that a complainant will not be unfairly treated. A few years ago, certain amendments were made to the criminal code to introduce provisions designed to shield complainants from questions about their sexual history and to allow them to remain anonymous. Although these provisions do not absolve the complainant from answering relevant questions to the claims at trial, they do provide comfort that the complainant’s past sexual history cannot be used to embarrass her or insinuate that she “deserved the assault” or likely consented to the action. If we were to eliminate, or substantially limit, the right of cross-examination of complainants in the context of sexual assault trials, it would be far too easy for a disgruntled, vindictive or otherwise compromised complainant to use sexual assault allegations as a tool for revenge with little fear of repercussion. There would undoubtedly be an increase in wrongful convictions. Although not always the case, it has now been well established by expert evidence that sexual assault victims often take actions, or fail to take actions, that appear incongruous with what we, as onlookers, would expect them to take. For instance, a woman might reach out to a man who assaulted her after the fact, flirt with him, maintain a relationship with him and even engage in subsequent sexual activity with him. In this case, each of the complainants had reached out to Mr. Ghomeshi after the alleged assaults had taken place, including to send provocative pictures and to initiate sexual activity. To be clear, none of these actions were used against them. Rather, what troubled the court was that the complainants had initially lied about such behaviour, attempted to cover it up and only disclosed it after it was revealed by defence counsel. Witness #1 told the court that she had had no contact with Mr. Ghomeshi after the alleged sexual assaults, and equivocated when defence counsel revealed that she had sent him at least two emails and a picture of her in a bikini more than a year later. Witness #3 told police that, after the alleged sexual assault, she only felt safe with Mr. Ghomeshi in public. However, she neglected to disclose that she had had a private consensual sexual encounter with Mr. Ghomeshi days after the assault. In each case, the complainant attempted to hide the facts that appeared, on first blush, to hurt her claims. Prior to giving her testimony, each complainant swore or affirmed that her evidence would be “the truth, the whole truth, and nothing but the truth”. By withholding information, her credibility was impeached and the reliability of her testimony was placed in question. It is not up to the complainant to “play judge” and determine which evidence they wish to bring forward. Any action taken by the complainant that is voluntarily disclosed, albeit embarrassing, is nowhere near as damning as any cover up or half-truth. Again, to be clear, the issue is not that the complainants engaged in behaviour that some would think is incongruous with what a victim of a sexual assault would do; rather, the issue is that the complainants lied and attempted to cover up the facts they didn’t want to disclose. For this reason, the complainants were the authors of their own demise. The ‘Jian Ghomeshi found not guilty’ decision serves as a stern warning for police, prosecutors and others involved in the investigation of sexual assault allegations. Police and prosecutors need to conduct thorough interviews of complainants in order to determine whether to lay a charge and, once a charge is laid, prepare for trial. This means asking probing questions and, at times, playing devil’s advocate. Lately, there has been a growing movement among professionals that deal with victims of sexual assault to accept complainants’ testimony and not to ask difficult questions or make inquiries that may “further victimize” the complainant or cause them to wonder whether they are believed. However, as the Ghomeshi trial demonstrates in no uncertain terms, if the police and prosecutors had investigated the allegations and tested the evidence more rigorously, many of the inconsistencies could have been caught at an earlier stage and been properly addressed at trial. The outcome could have been very different. Mark Hogan defends criminal charges such as Assaults, Domestic Assault, Assault with a Weapon, Aggravated Assault, Sexual Assault, Uttering Threats, Forcible Confinement, Criminal Harassment, Bail Hearings, Drug Production, Drug Possession, Drug Trafficking, Fraud, Impaired Driving, Over 80, Refuse to Provide a Breath Sample, Theft, Robbery, and Breaking and Entering in Southern Ontario including Toronto GTA, Mississauga, Hamilton, Burlington, Milton, Brampton, Newmarket, Ajax, Pickering and Oshawa. If you have been charged with a criminal offence, call Mark Hogan Criminal Defence Lawyer today for a FREE CONSULTATION! Call (416) 716-7157 (24/7).